Every year, Business Focus lists top Chief Executive Officers (CEOs) and business personalities that would define events of a new year. This is largely because these top managers are responsible for key actions and decisions taken in their respective entities which feed into the general performance of the economy. In addition, their actions motivate their juniors and those outside their organisations to work hard. However, in times of bad performance of their companies, they are answerable and in some unfortunate cases some jobs are lost. 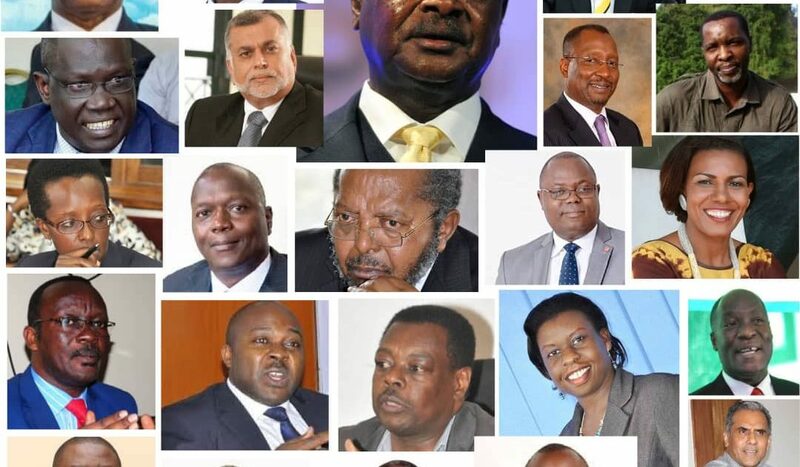 In no particular order, below are Uganda’s top 40 CEOs and business personalities to watch in 2019. He was named the Acting Executive Director of Kampala Capital City Authority (KCCA) following the resignation of Dr. Jennifer Musisi. Having been at the Authority for over seven years,Musisi didn’t have a smooth ride considering the fact that she had several battles to fight with the political wing led by Lord Mayor Erias Lukwago. In her resignation communication, she also hinted on political interference by other players outside the authority in the affairs of the city authority which many analysts believe was the reason she left. Kitaka or any other person that will become the substantive KCCA ED must pick up key lessons from Musisi’s bitter relationship with politicians. This is one of the toughest jobs today considering the fact that the ED is appointed by the President and one must ensure that they play their cards well with the ruling National Resistance Movement Party and the opposition dominated political wing. Quite challenging! Katamba joined dfcu bank as Managing Director late last year, replacing retiring Juma Kisaame, who is credited for literally transforming dfcu bank. 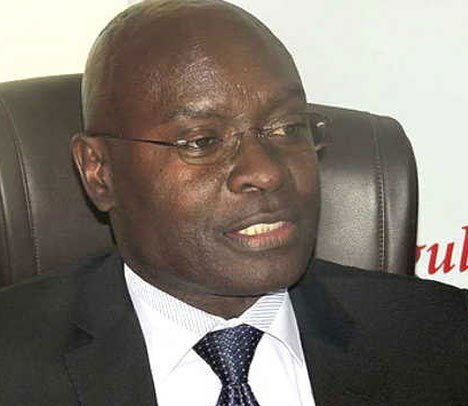 Katamba, who did a commendable job at Housing Finance Bank according to market analysts, took charge at Uganda’s 2nd largest bank by assets at a time when it was experiencing bad public relations emanating from the purchase of some assets and liabilities of the defunct Crane Bank. What market followers are waiting to see is how he uses his management style to keep dfcu sound, and shareholders happy. Akol, the Commissioner General at Uganda Revenue Authority (URA) was rewarded with another 4-year term in November 2018. Collecting tax isn’t a simple task especially in growing economies like Uganda where taxpayers do not want to comply with the tax regime. In the 2018/19 National Budget, URA is expected to collect Shs16.3 trillion. While the tax body has registered a surplus in the first quarter of the year, it remains to be seen whether Akol and her team will exceed the Shs16.3 trillion target. President Yoweri Museveni, while opening the Shs139bn URA Tower recently said URA grounds were holly and that whoever worked there was not expected to engage in corruption and related cases. Can Akol enforce this? Let’s watch. Dodoo is the Managing Director at Ecobank Uganda. He is credited for turning around the bank that had been posting losses since it joined the Ugandan market in 2008. The bank first recorded a net profit of Shs813m in 2016, up from a loss of Shs764m in 2015. This was after Dodoo joined the bank in early 2015 from Ecobank Sierra Leone. In 2017, the bank made a net profit of Shs1.54bn, up from Shs813.3m recorded in 2016. This represents a record growth of 89.4%. It is not yet clear how the bank performed in 2018. Dodoo and his team will be watched on the game plans they will employ to increase the bank’s market share in Uganda. City businessman Mukesh has been named in several scandals and that makes him one of the top 40 managers to watch this year. In November, 2018, he was arrested and charged with 13 fraud related charges before being released on a cash bail of Shs3m. Mukesh is the executive director of Shumuk Aluminum Industries. The charges included six counts of forgery, six counts of uttering false documents and one count of conspiracy to commit a felony contrary to the Penal Code Act. He denied all the charges. Prosecution contends that Mukesh and others still at large on or about April 17, 2015 in Kampala District, with intent to defraud or deceive forged a letter for official hand over of Hotel Diplomate in Muyenga, a Kampala suburb. The letter is purported to have been signed by the deceased Consular of Pakistan Islamic Republic in Uganda Bonny Katatumba. This is not the first time Mukesh name is being mentioned in such dubious cases with the Katutumba family. 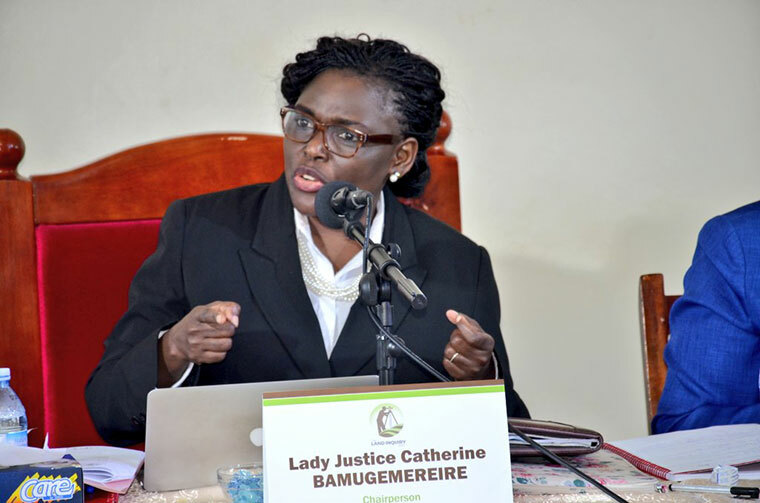 In 2016, Mukesh sued three traders over impersonating Chief Justice Bart Katureebe and defrauding him of $125,000 (about Shs419m). The accused in this matter included Bob Joseph Nabasa, Martin Matovu and Saleh Luzinda. At the start of the trial, Luzinda pleaded guilty and court sentenced him to a fine of Shs19m. His co-accused are still battling with the case before the same court to date. Where will these wrangles leave this tycoon? We cannot tell at the moment because the matter is still before court. Justice Simon Byabakama is the Chairman of the Electoral Commission of Uganda. Having replaced Engineer Badru Kiggundu in November 2016, Byabakama has generally presided over successful elections in various parts of the country. However, his real task is to organize credible 2021 General Elections. On 11th December, 2018, the Electoral Commission launched the Strategic plan and the road map for 2020/2021 General Elections, a development that has seen various political actors begin to position themselves for different posts in the upcoming elections. Against the above background, Byamukama and EC will be in the limelight in 2019 and beyond. Prof. Mutebile is the Governor, Bank of Uganda (BoU), Uganda’s Central Bank. The Bank is responsible for stabilizing macro-economics to support government’s development targets. Mutebile and his team have over the years tried to play their mandate well. However, recent secret deals and irregularities exposed by Parliament relating with the controversial closure and sale of seven defunct banks has put the bank’s good image at stake. Many leaders currently doubt his leadership traits to keep the bank sound. In addition, it remains to be seen what the Parliamentary Committee of Commissions, Statutory Authorities and State Enterprises (COSASE) report on seven closed banks will entail, but there’s no doubt a lot of changes are expected at BoU. Ugandans will also be eager to know how Mutebile and his deputy Dr. Louis Kasekende will streamline the operations of the Bank. There are also ongoing Court Cases involving BoU by property mogul Sudhir Ruparelia over the controversial of his bank-Crane Bank Ltd. This means Mutebile and his team will no doubt continue to make headlines in 2019. Eng. 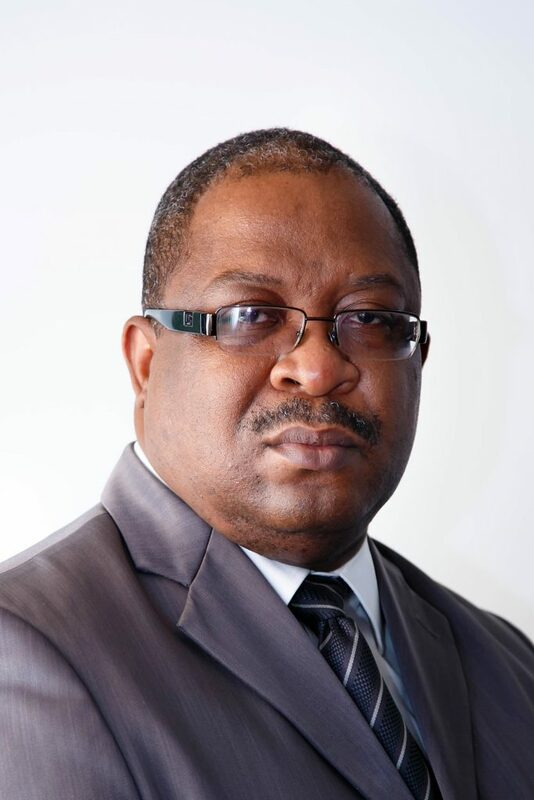 Mutikanga, the CEO of Uganda Electricity Generation Company Limited (UEGCL) is the man behind the 600MW Karuma and the 183mw Isimba Hydro Power Projects. UEGCL is responsible for overseeing the construction of the said dams that have been marred with sloppy works due to inadequate supervision in some cases. The dams were expected to be launched in 2018, but this wasn’t possible due to completion delays. Karuma will cost slightly over US$1.4bn, while Isimba is expected to cost ‎US$590 million. Ugandans are waiting for the official launch of these dams this year. Kalyegira is the CEO at Capital Markets Authority (CMA). In fact, much of the activity on the USE in many ways reflects the work being done at the CMA. CMA is responsible for promoting, developing and regulating the capital markets industry in Uganda, with the overall objectives of investor protection and market efficiency. When Kalyegira assumed office in 2013, he promised to deliver at least two Initial Public Offerings (IPOs) per annum, but in over six years the market has only witnessed one IPO – Cipla Quality Chemical Industries Limited (CiplaQCIL), a pharmaceutical manufacturing company in Uganda which announced its IPO by floating a total of 657,179,319 shares on to the Uganda Securities Exchange (USE) in the latter part of 2018. Now only nine local companies are listed on USE. What is likely to help him is the directive by the president that top companies in the services sector like telecoms list so that Ugandans own a part of them. If that doesn’t happen, then Kalyagira’s performance will be good news to a few market followers. Museveni is the President of Uganda. Ideally, he is the CEO of Uganda. He has been praised for putting in place good macro-economic (development) model but highly criticized for not implementing them to achieve GDP growth above 7% year-on-year. Interestingly, as we move closer to 2021 general elections, Museveni will be one of the key persons to watch in 2019 as Ugandans will not want to experience a repeat of the 2011 election situation that involved ‘splashing’ of money in the public hands which spiked inflation to around 30%, the highest since 1993. Mweheire is the CEO of Stanbic Bank Uganda, Uganda’s largest and most profitable bank. With competition from dfcu, StanChart, Centenary and other innovative banks, Mweheire will be one of the CEOs to watch especially on the strategies he will deploy to ensure he remains on top of other banks. Vanhelleputte is the CEO at MTN Uganda. His first task is to ensure the telecom giant’s license is renewed. It was supposed to be renewed last year, but that didn’t happen due to unmet regulatory demands. After securing the new license from Uganda Communications Commission (UCC), Vanhelleputte will now look at being innovative than ever before considering that competition from Airtel Uganda is a headache. He needs to ensure that the company is scandal free in light of the recent deportation of some of his top managers that are said to have used its infrastructure to threaten the security of the country. But the big question is: Isn’t he a culprit given the fact that he was their boss? Sudhir is the chairman and majority shareholder in the companies under Ruparelia Group. His investments are mainly in the areas of education, real estate, floriculture, hospitality, capital markets and more. His net worth was estimated around US$900 million as at end of 2016. Sudhir, arguably the richest man in Uganda is still fighting to have justice over the controversial closure of his bank-Crane Bank Ltd. He will no doubt continue to make headlines as he takes on Bank of Uganda on this matter. Kasi is the Managing Director at Centenary Bank, Uganda’s largest indigenous bank. The bank has one of the largest numbers of customers which puts pressure on Kasi to keep a robust bank operating system to support transactions. While the bank remains profitable, Kasi has a huge task of reducing Non-Performing Loans and bad loans written off. In 2017, NPLs increased by 42.7% to Shs62.2bn, up from Shs35.6bn recorded in the previous year. Going forward, Kasi and his team must ensure that customers utilize mobile banking to reduce on the long queues witnessed at the bank’s halls. VG Somasekhar is the Managing Director at Airtel Uganda. He returned to Airtel Uganda in the latter part of 2017 to replace Anwar Soussa. 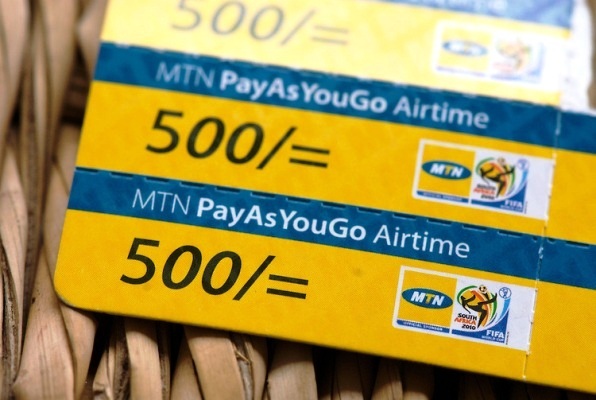 His return is viewed as one aimed at toppling MTN as Uganda’s leading telecom firm. Upon his return, the company registered its first profit. It registered growth of almost 30% to $62.12m, from $44.9m in 2016, buoyed by increased revenue from different units such as mobile money and data which rose to $306.98m from $283.4m in 2016. He was also behind the signing of the agreement with the Buganda Kingdom to sponsor the annual Kabaka’s run. He will be one of the CEOs to watch as he devises means to takeover MTN as Uganda’s leading telecom firm. Manyindo is the Executive Director at Uganda National Bureau of Standards (UNBS). Uganda is plagued with a number of substandard and fake products, posing a danger to the lives of Ugandans. With inadequate funding, Manyindo and his team have a daunting task of ensuring that products on the market meet the required standards. Can they achieve that amidst their constant demand for a budget rise? Kariisa, the CEO of Next Media Services has recently revolutionzed Uganda’s media industry. His media empire is fast expanding. In 2018, he joined radio business, buying off Isaiah Katumwa’s Jazz FM and rebranding it to Next Radio. NBS TV that was ‘nowhere’ some years back is now giving NTV a run for its money, thanks to Kariisa’s leadership. Some media analysts have said he is too ambitious to achieve the objectives of his plan because of the growing industry competition. He will have to work hard to prove these analysts wrong in 2019 and beyond. 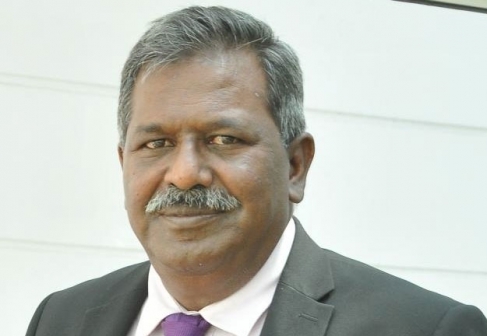 Kakeeto was named the Acting Managing Director of Tropical Bank in October 2018. This was after the bank fired Sameh M. Krekshi on orders of Bank of Uganda. Krekshi was terminated for overdrawing his account contrary to BoU regulations. Tropical Bank hasn’t been performing well in recent years. The bank made a loss of Shs5.5bn in 2017, down from a loss Shs13.4bn in 2016, while Non-Performing Loans (NPLs) stood at Shs28.7bn in 2017. Kakeeto has a huge task of turning around this performance. Umeme is the face of Uganda’s recurring power cuts. Babungi is its Managing Director fighting hard to get its contract renewed. President Museveni has in the past accused the company of colluding with officials from the energy sector to inflate its operation costs – which many observers think is the cause for high tariffs. Others have said the company’s contract was badly negotiated. Many times power consumers have demonstrated in Kampala and other parts over power cuts and related poor service. Babungi and his team will still face these angry customers and the media will report whatever happens in 2019 and beyond. Uganda Telecom Ltd (UTL), the oldest telecom firm in Uganda had literally collapsed after Libyan majority shareholder; UCom unilaterally quit the embattled telecom company in 2017. However, the Government of Uganda which had slightly over 30% shareholding in UTLmade a quick step to save it by appointing Bemanya Twebaze as its Official Receiver/Provisional Administrator. He took office effective April 28, 2017. At the time, the company was heavily indebted to the tune of over Shs700bn. President Yoweri Museveni is interested in keeping UTL alive because, although it is technically bankrupt, it serves government agencies with sensitive communication services. Will it turnaround in 2019? Nakawunde is one of the most powerful female MDs in Uganda. She is working at Finance Trust Bank (FTB). She spearheaded the transformation of this bank from a micro-finance deposit taking institution into a commercial bank in 2014. While the bank has been posting profits, the bank’s market share remains small. How she intends to grow the bank’s market share in a competitive market with 24 banks remains to be seen. Kagina is the Executive Director of the Uganda National Roads Authority (UNRA). She was appointed to that position on 27 April 2015. While she generally did an excellent job at URA, Kagina has not found it easy at UNRA, with shoddy works and questionable contracts remaining key highlights during her tenure. Being a tested female manager in the country, and now heading one of the highly funded government agencies that is listed for merging, Ugandans will definitely keep an eye on her work this year. Dr. Tom Okurut is the Executive Director of the National Environmental Management Authority (NEMA), a government agency charged with the responsibility of coordinating, monitoring, regulating and supervising environmental activities. However, the body has been on the spotlight for failing to protect wetlands, forests and the general environment. It remains to be seen how NEMA will enforce the existing laws in an effort to preserve and protect the environment. This will surely be a tough year for Okurut and his team. The primary mandate of UCC is to regulate the Communications sector, which includes Telecommunications, Broadcasting, radio communication, postal communications, data communication and infrastructure. Fulfilling this mandate isn’t a simple task. This is why UCC boss Mutabazi can’t miss out on this list. Saltson is the Chief Executive Officer at Standard Chartered Bank (StanChart). He replaced Herman Kasekende in early 2017. He joined StanChart at a time it was choking on high Non-Performing Loans (NPLs). The bank’s net profit dropped by 16.9% to Shs93.19bn in 2017, down from Shs112.15bn recorded in 2016. In 2017, StanChart’s NPLs stood at Shs78.6bn. It’s not yet clear how the bank performed in 2018, but Saltson will be on the watch out this year considering the fact that a few years ago StanChart fought for the market with Stanbic. Kaguhangire had been appointed UIA ED in late 2017, replacing Eng. Dr. Frank Sebbowa who had earlier on retired. The President has severally attacked UIA officials for asking bribes from investors, thus denting the image of the country. Basil Ajer was appointed the acting Executive Director. There has been a leadership struggle for a long time at UIA and the new ED must devise workable means to have a united team. Okello is the Executive Director of National Forestry Authority. The NFA that is responsible for managing Uganda’s central forest reserves was created as a semi-autonomous corporation through the National Forestry and Tree Planting Act of 2003 to replace the Forestry Department that had existed before. However, since its creation, natural forests have continued to get depleted at a frightening speed. The Authority also continues to grapple with money related scandals. In late 2018, Members of Parliament on the Natural Resources Committee tasked NFA officials to account for over Shs5 billion meant for sector activities in the 2017/2018 financial year. “Without beating around the bush, I can say that there has been involvement of our staff in illegal activities but we are tracing them and will hold them accountable,” Obong Okello said at some point. He added that over 2000 hectares of forest were restored in the 2017/2018 in Mabira, Bugoma and Zirimiti forests among others, with 8557 hectares freed from encroachment in Budongo, Muzizi and Achwa forests. Byarugaba has generally turned around Uganda’s National Social Security Fund (NSSF). In 2018, the Fund announced 15% interest rate for its members despite the economy growing at a projected 6%. Byarugaba’s tenure has been with minimal scandals save for the fights with his former deputy. Will he continue to grow the Fund while keeping it free from scandals and fights? Mugisha is the Executive Director of National Water and Sewerage Corporation (NWSC). While he has performed generally well, complaints of water rationing in some parts of the country remain. Extending clean water to a number of emerging towns across the country also remains a challenge. It remains to be seen how he will improve and better service delivery in 2019. Saaka is the Executive Director of the National Information Technology Authority-Uganda (NITA-U), a statutory body charged with coordinating and regulating Information Technology services in Uganda. The body has been plagued with fishy deals and money scandals in recent years. Will 2019 be any different? Katongole is theExecutive Chairman ofCipla Quality Chemical Industries Limited (CiplaQCIL), a pharmaceutical manufacturing company in Uganda which announced its Initial Public Offer (IPO) and floated a total of 657,179,319 shares on to the Uganda Securities Exchange (USE) in the latter part of 2018. Katongole and CiplaQCIL shareholders will be watched especially on how the company performs after going public. Bagenda is the Chief Executive Officer of Uganda Airlines. He is the man behind the controversial revival of Uganda Airlines, Uganda’s national carrier that is expected to bolster tourism sector. Last year government of Uganda signed a Memorandum of Understanding with Airbus for two A330-800neo, the new version of the best – selling A330 wide body airliner, featuring new wings new Rolls-Royce’s latest-generation Trent 7000 engines, new systems and a new Airspace cabin interior. The agreement was announced at Farnborough airshow by Bagenda and Eric Schulz, Airbus Chief Commercial Officer. Can Bagenda pull off this milestone this year? Lekan Sanusi was appointed Managing Director of Guaranty Trust Bank on April 23, 2018. He replaced Olufemi Omotoso, who was recalled to the Bank’s head offices in Nigeria after the bank recorded a loss of Shs1.9bn in 2017, up from Shs1.43bn loss in 2016. GTBank entered the East African market in 2014 after acquiring 70 percent in Fina Bank Group’s operations in Kenya, Uganda and Rwanda. Can Sanusi turnaround the bank that has been performing poorly for over five years? Anthony Ndegwa was appointed the Managing Director of Commercial Bank of Africa (CBA) in September, 2018. He replaced Samuel Odeke, the founding MD. The bank has been performing poorly since it re-joined the Ugandan market in 2014 (it had exited the market in 1969 due to political instability). In 2017, it made a loss of Shs1.3bn, down from Shs8.1bn loss in 2016. Like GTBank’s Sanusi, Ndegwa has a huge task of making the bank profitable. Ajarova is the new Executive Director of Uganda Tourism Board, a government agency responsible for marketing and promoting Uganda as a top tourist destination. She replaces Stephen Asiimwe. Ajarova and her deputy Ochieng Bradford have a huge task of growing the sector that is already a top foreign exchange earner for the East African country. The tourism industry has received meager resources from government and this new leadership must change the status quo. Wekesa is not only a top marketer of Uganda’s tourism sector, but also continues to invest strategically to grow his business empire. Every year, he adds a new product or service on his group of companies and it is unlikely 2019 will be any different.